1. 11 1/2" , 20", 3 1/2"
2. 12" , 20 1/4" , 3 1/2"
3. 13" , 22 3/4" , 1 "
4. 13", 22" , 3 1/2"
6. 15", 20", 3 3/4"
2. 17", 21 3/4", 18 1/2"
3. 17 1/2", 22 1/4", 19"
4. 16", 22 1/2", 19"
5. 20", 22 3/4", 19 1/4"
6. 18", 20 1/2", 18 1/2"
7. 16", 20 1/2", 18 1/2"
8. 18", 22 1/2", 19 1/2"
9. 17" , 23", 19"
Jackets and kilts made by Gloria Weir. I'm very interested in the outfits. 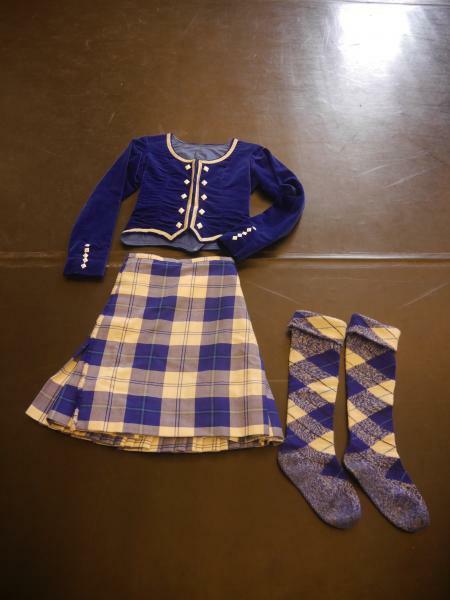 Looking for a highland costume for my daughter. I think I would be interested in kilt #4 and jacket #1 if still available. Do you ship to the US? Also, what would the cost be in US dollars with shipping? Tim if you can send me a PM with your zip code I can confirm these are available and calculate cost with shipping to the US. How many buckles are there? Are these full kilts? Can you post a picture of the back of the kilt? Thanks so much!! We are interested in #2 jacket, #6 kilt and 8 1/2 inch by 16 1/2 inch hose. I am in Calgary - do you have an estimate for shipping? These are not full kilts. Please send a PM with postal code or zip code for shipping estimates and arrangements. Thanks. After some inquiry and clarification. These are not kilties, but not full adult kilts. They have 24 pleats and 2 buckles. Would it be possible to get just a jacket, if so I would like to get #8. Heather I will sell this jacket separately for $100 CDN plus shipping. As there are 6 kilts and 6 socks I am wanting to keep them together for $150 CDN plus shipping. If you PM your postal code I can estimate shipping for the jacket. Are any of these outfits still available? Everything is still available with the exception of jacket #8 sold, and jacket #1 sold pending payment. 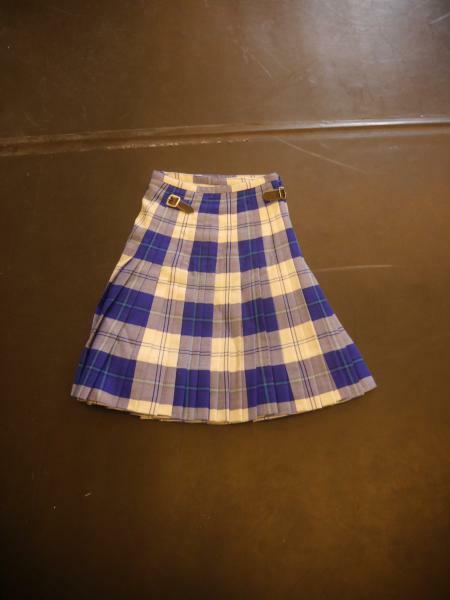 I have answered inquiries and would like to add the kilts are very suitable and economical for a dancer starting out. The would be great for a dancer in beginner to novice, and perhaps intermediate. Wondering if accordiann from Calgary is still interested in an outfit? I did not receive a postal code to estimate shipping. Thanks! Hi Accordiann I can ship to you for between $18 and $20. Are you you able to PM me? Wanting to clear these items from the studio. Dropping price to $180 for all 3 items plus shipping. Hi, I am interested in jacket number 4. Could you please tell me its hip measurement. Looking for about 34 inch minimum to allow for kilt. Ok, if you still have them, I would like to buy jacket #4, kilt# 4 and the largest pair of kilt hose you have. I am in Chicago. Thank you for all the inquiries and helping find these outfits new homes! Hi, I'm interested in kilt 3, jacket 7 and hose at least 8" foot and 14" high. What would shipping to Winnipeg be? When you give the waist measurement is that at the smallest? On the smallest buckle kilt # 3 measures 13" across. I have measured again for you.